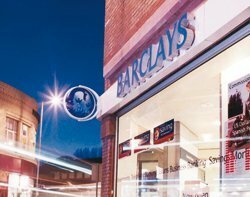 Barclays is rolling out free Wi-Fi across 1,500 of its branches in the UK, following a trial of the technology from BT. Barclays hopes providing the service will bring in more customers and allow it to showcase the mobile solutions it offers to account holders. “We’ve been listening to our customers about how we can make banking easier for them and they tell us they like the idea of mobile banking, but would often value being shown how it works,” said Ashok Vaswani, CEO of Barclays retail and business banking division. Barclays has chosen a white label Wi-Fi service from BT, enabling them to brand the wireless hotspots as BarclaysFreeWifi. Work began six months ago with trials across three of its high street locations to ensure this was a service customers were looking for. After proving to be successful, the roll-out commenced and more than 800 Barclays branches already have the free Wi-Fi hotspots installed. “Whether it’s in the branch or through remote channels such as mobile banking, the technology now exists for organisations to connect their customers to the right people and the right information in a seamless, cost-effective way,” added Luis Alvarez, CEO of BT’s Global Services division, which has been handling the deployment alongside BT Openreach. The roll-out is continuing but Barclays and BT plan on having completed the project by the end of April. Stores once offered air-conditioning as a customer draw. I suppose before that it was electricity that brought the customers in. Perhaps before that the draw was cold, clean drinking water. WiFi is here. It's not going away. The cost is minimal. Companies that hope to stay in business will have to start providing modern services. Skip that at your company's peril.